CLACSO 2018 – 8th Latin American and Caribbean Conference on Social Sciences (November 19-23, 2018) will be held in Buenos Aires, with the theme “Struggles for equality, social justice and democracy in a turbulent world” and the 26th CLACSO’S General Assembly (November 17 and 18, 2018). 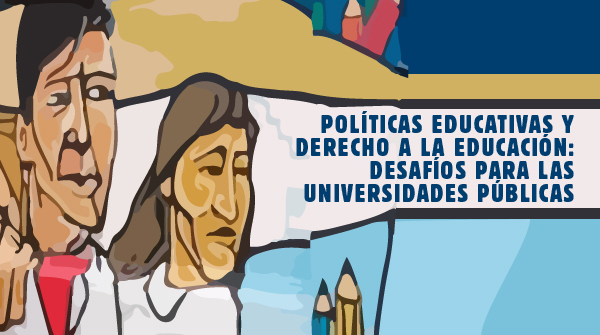 On November 21, 2018, the Forum “Educational Policies and the Right to Education: Challenges for Public Universities” will be held, organized by the Scientific Coordinator of CeiED, Professor António Teodoro, with the participation of Professor António Sampaio Da Nóvoa. The neoliberal reason imposes new fissures to the narrative of Modern University without, however, to dismiss it. Teaching and doing science are reconfigured under competitive criteria of the productive private sphere. The “banality of the project” and academic productivism tyrannize and sterilize creative and autonomous thinking, suffocating the university from within. The sense of doing science and development is shifted from social justice and equality to all, to the appropriation of few (privatization, profit and results). But the narrative of the modern university survives, though. The university is recognized and experienced by many teachers and students as a place for democratic debate of ideas, creation of knowledge, place of science, art and life! The University is everyone’s, of the People!